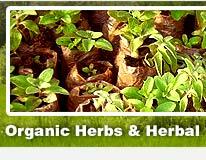 AayurMed is a cultivator and supplier of 165 certified organic medicinal, aromatic, ayurvedic and culinary herbs. These herbs are certified as '100% Organic' by OneCert, USA under NOP of USDA, (EEC) 2092/91, (EC) 1788/2001 and NPOP of India. AayurMed can supply over 400 Indian herbs including ogranic and non organic herbs, herbal teas, herbal extracts, herbal blends, herbal powders, oils and other herbal products. 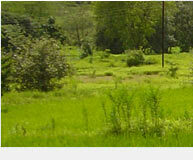 AayurMed is owned and managed by Vinod Haritwal and Rashmi Haritwal. Vinod is a qualified professional business manager with over 28 years of business management experience. We also cultivate organic herbs and spices for international clients on contract cultivation basis. We have our own nurseries where planting material and seed are developed for most of our herbs. This guarantees ready availability of genuine, good quality seed and planting material for commercial cultivation as well as herb gardening. AayurMed herbs and spices can be used in medicinal formulations, botanicals, herbal teas, functional foods, nutrition supplements, foods & beverages, bakeries, restaurants etc. AayurMed herbs, spices and products are supplied to many customers in USA, Canada, Germany, France, UK, Denmark, Hungary, Australia, Japan, Korea, Thailand, Malyasia to name a few.